Seventh Circuit Rules On The Weight Of Scientific Evidence. ≈ Comments Off on Seventh Circuit Rules On The Weight Of Scientific Evidence. Seventh Circuit Denies Neiman Marcus’ Rehearing of Data Breach Class Action. ≈ Comments Off on Seventh Circuit Denies Neiman Marcus’ Rehearing of Data Breach Class Action. Plaintiffs, Neiman Marcus cardholders, brought a class action against the store for damages caused by a 2013 data breach. Hackers accessed customers’ credit and debit cards, as well as other personal information. The Northern District of Illinois, Eastern Division, ruled that the individual Plaintiffs and the class action against Neiman Marcus lacked standing under Article III of the Constitution. Plaintiffs appealed to the United States Court of Appeals for the Seventh Circuit. The link takes you to the Seventh Circuit’s opinion explaining how Plaintiffs prevailed and why it reversed and remanded the case. Neiman Marcus filed for rehearing. The Seventh Circuit followed its usual habit, and denied it. Yes, benchslaps are great fun to read about, especially if you enjoy a little schadenfreude. But benchslaps are not fun to receive — and they’re not always justified. Because of the prestige of judicial office, judges generally get the benefit of the doubt when dishing out benchslaps. But sometimes judges go too far. For example, some observers felt that Judge Richard Posner crossed the line when interrogating a Jones Day partner during a recent Seventh Circuit argument. This brings us to today’s benchslap — directed at a lawyer for the federal government, no less. It’s harsh, but is it warranted? . . . Web Resources for Illinois Appellate Lawyers. 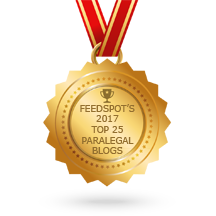 ≈ Comments Off on Web Resources for Illinois Appellate Lawyers. Judge Posner’s Theories On Hearsay Exceptions. ≈ Comments Off on Judge Posner’s Theories On Hearsay Exceptions. As Colin explores alternate hearsay theories in his posts, it is worth highlighting a concurrence in U.S. v. Boyce, decided today in the Seventh Circuit, where Judge Richard Posner attacks the merits of both the present sense impression and excited utterance hearsay exceptions (FRE 803(1) and (2)). As Judge Posner notes, the arguments against these exceptions are not new, but his no-holds-barred critique, stating the exceptions are “not even good folk psychology,” is sure to generate interest in revisiting the hearsay thicket. Did 9th Circuit Kill Gun Control In Response to 7th Circuit Case? ≈ Comments Off on Did 9th Circuit Kill Gun Control In Response to 7th Circuit Case? We were wrong — sort of. Great Blog on Brief Writing! ≈ Comments Off on Great Blog on Brief Writing! Today’s brief comes from a criminal appeal filed in the Seventh Circuit. A number of things about it attracted my attention. First, it is a brief that the filing lawyer (allegedly) paid a brief writer $5,000 to draft for him. Second, it is an appeal from a decision by the Hon. Chief Judge Joe Billy McDade of the Central District of Illinois, and I don’t believe that Judge McDade is capable of error (though I may be biased). And third, the lawyer who filed the brief was sanctioned for failing to show up for oral argument on it (he said that he was up all night vomiting and didn’t feel well enough to go to court). Though I have great sympathy with feeling ill prior to an oral argument before the Seventh Circuit, it does seem wise to show up anyway when the clerk tells you that you have to.